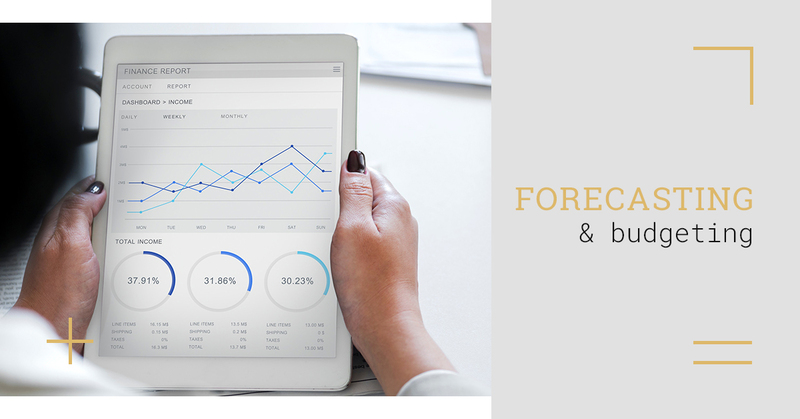 Forecasting plays a major role in the success of your business. An accurate forecast allows you to keep business operational expenses low and foresees your potential sales growth. For any business seeking to operate efficiently, a forecast must be executed. A forecast can either be short- or long-term. For example, your company could have quarterly, bi-annual, or annual forecasting. Revenue forecasts can also be done any time a client is lost to create a plan for the lost revenue. Financial forecasts can be updated anytime there’s a change to your business plan, inventory, or operations. Unlike budgeting, forecasting doesn’t compare predictions and actual performance, it’s used for planning. A budget is a spending plan that offers measurable goals and history to keep your business in line to be profitable and to ensure you have sufficient cash flow to cover your expenses. Having a forecast as well as a budget will allow you to manage your business more efficiently and help you to build up reserved funds for slow unpredictable revenue months as well as expansions or other large purchases without using credit. When done correctly you will lower cost and maximize your profit. Your budget is compared to the actual results your company sees in order to locate areas of improvement. Budgets are usually re-evaluated once every year depending on if management wants to update it or not. Budgets are usually done for a whole year. However, there are opportunities for bi-annual budgets depending on the needs of the company. Here at A & N, we are experts in forecasting and budgeting. As a business owner, you can’t simply work day-to-day and plan your finances as you go. Having a yearly budget and performing regular forecasting is a crucial part of ensuring your company is always growing and accounting for any pitfalls in the market. If you have any questions about our forecasting and budgeting services, give us a call today.